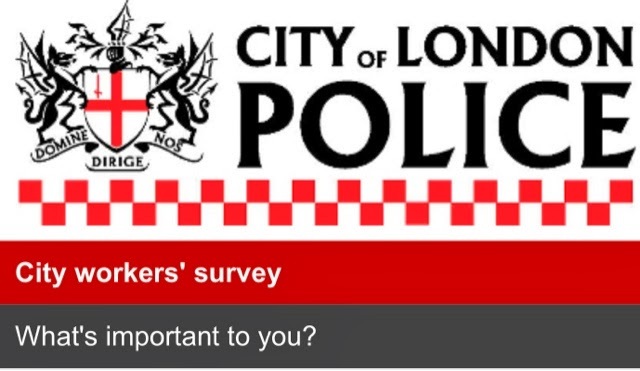 The City of London Police is seeking your views about policing issues that affect you as a worker in the Square Mile. It is a very quick survey that should take less than five minutes to complete and your input is very important to us. All completed surveys will be entered into a draw to win a pair of tickets to ‘The View from the Shard’ as a thank you for taking part. The draw will be made after 5pm on 31 January 2014. The survey can be found he​re​. News about Swallow Street, from the LTDA's ranks and highways officer Richard Masset, has been published in the latest edition of Taxi paper. Unfortunately it's not 100% correct. As you can't change your info once published, we thought we would post a correction on behalf of Mr Masset. TfL has revised some of its marshalled rank arrangements. Marshals have been withdrawn from a rank in Bromley Town centre on Friday nights and moved to two touting blackspots in Regent Street. The original idea was to provide marshals at the rank near Swallow Street from 10.30pm and then move them to Heddon Street at midnight, when that rank comes into operation. The feedback from drivers has been that the Swallow Street operation is extremely successful, and so the marshals will continue to be deployed there on both Friday and Saturday nights. Having spoken to the company providing the marshals, I can announce they have only been authorised at Swallow and Heddon on Friday nights. TfL turned down the request for Saturday nights. Something else you won't be reading in Taxi Paper. After a series of meetings, including on-site observations at the invitation of Westminster's parking contractors (NSL), the RMT London Taxi branch have been instrumental in getting Westminster City Marshals and NSL parking wardens to patrol the stretch of Regent Street outside the Swallow Street arch, on most evenings. The Wardens also work alongside the Marshals on Friday nights. Since this operation started the touts have been conspicuous by their absence and illegally parking in the bus lane has almost ceased. Not only is the traffic moving more freely, but most of the work from the clubs and restaurants in Swallow Street is now going in Licensed Taxi. The operation has proved that with help from TfL marshals and local council wardens we can provided an excellent service. 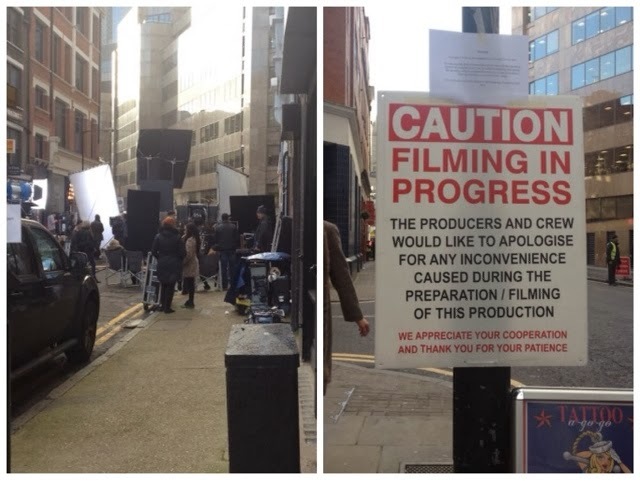 But without there help, it's chaos and a free for all, as we've recently seen in Charterhouse Street. There will be on-going discussions with TfL to ensure that the marshals are effectively deployed and we are hoping that the resources will stretch to the provision of more at Victoria Station, so that a formal rank can operate at night on the station forecourt. Something Taxi Leaks and the RMT have been asking for since the building works commenced! Discussions have been on-going for far too long...meanwhile, the touts are having a field-day at Victoria station at night. What was the point of an exclusive engagement policy when important matters such as this have been left to fester for more than a year. BT police are turning a blind eye to the touts and have recently warned Taxi Drivers about ranking on the old rank. Taxi drivers have had their numbers taken and told if they return, they will be done for a number of offences. The situation at Victoria needs to be sorted with the greatest urgency, as tourists and commuters are being picked up and ripped off by unscrupulous minicab touts. Victoria sees 73 million travelers per year and is London's second busiest station, after Waterloo. We have, in the passed seen violence breaking out between Licensed Taxi drivers and Minicabs illegally waiting to tout passengers getting off the coaches and buses in Buckingham Palace Road. By their non action TfL are putting the safety of Taxi drivers and members of the travelling public at risk. Another failure from this already disgraced government agency. News From TfL's Legal Team. No Action, No Enforcement. Following comments made to Peter Rose of Unite, by TfL Compliance Officers at Smith’s in Charterhouse Street (29/11/13), given in response to a question regarding the illegal parking habits of private hire, clarification was sort from TfLs Legsl Team. Here is their reply. "When licensing an operating centre to accept private hire bookings, whether it is a ‘normal minicab office’ or an operating centre in a late night venue (what you refer to as a ‘satellite centre’), we expect any private hire vehicle that is serving that operating centre to comply with local parking restrictions and we do not condone illegal parking. However, if the vehicles and drivers are legally parked in the vicinity of an operating centre run by the operator they work for, we will take the view that they are legitimately at the location waiting for bookings from that operator. Where this is not the case and we or the police find drivers acting unlawfully we will take appropriate action. For example, where un-booked private hire vehicles and drivers are found making themselves available for immediate hire we will take action on the grounds that the driver is illegally plying for hire. This may result in prosecution and/or revocation of the private hire vehicle driver’s licence. We have no power to enforce parking restrictions which remains the responsibility of the local authority”. This statement completely defies the Hackney Carriage Act, the London Cab Act and the Private Hire Act. It also show flagrant disregard to decades of case law. It goes against the principle of the STaN report which originated licence variation operations (Satellite offices). The situation of Private Hire Cars (minicabs) forming ranks, waiting to become hired, is not allowed anywhere else in the country. We believe this is proof that TfL are looking to make Private Hire ranks commonplace in Central London and coming to a street near you, in the very near future. Why have trade representative bodies (the ones who engage with TfL) said and done nothing about this situation or, indeed this statement? Has the trade's silnce been bought, for less than the price of a new taxi"? We of course offer space on this blog to any trade leader who would like to justify their non-action. Save The Chelsea Bridge Tea Hut. What a coat of paint could do! One of London's best known points of interest, especially when it comes to the London Taxi driver, is of course the Chelsea Tea Hut. It's been a place of rest and refreshment for many a cabby over the years. Somewhere you can meet up with friends for a quick cuppa and a chat, with no fuss about parking or having the cab broken into. Used by bikers, car enthusiasts and the general public as long as I can remember. Recently, it's become extremely popular with Middle Eastern men. I asked a couple a few months ago why so many Arabs were using the Tea Hut and they said its a great meeting place, easy to find plus most Arabs visiting Britain have been there and know where it is. Apparently it's referred to as "The Tea Hu"t in Saudi and Dubai. 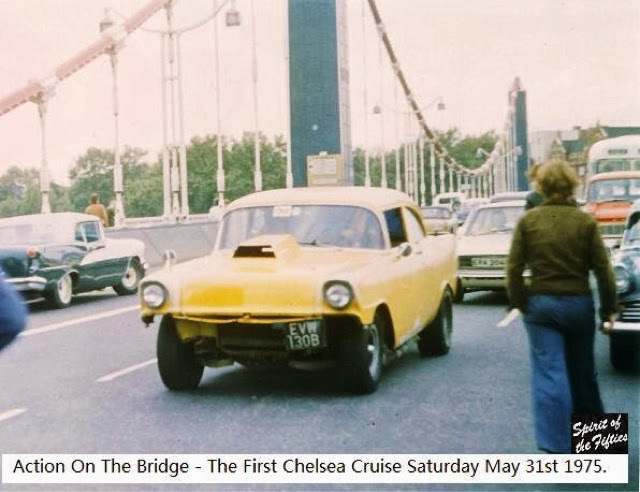 In my early cabby years, on the last Saturday of the month, I would watch the Chelsea Cruise wind it's way along Kings road and over Chelsea Bridge. Hot rods, drag racers and cars with extensively modified, parading up and down passed the tea hut, which was always the focal point. Building on the success of the petrol heads, the cars were later joined by super bikes and people would come from all over the country just to be spectators. For most of the 40 years I've been driving a Taxi, I've regularly used the hut for a quick tea and a sussage roll in the middle of my night shift. But unfortunately our watering holes have been disappearing at a speed of knots, Broad Sanctuary, Tina's, Orange Square Peter's, even Sorhwark Bridge Road, all gone from the night trade. The Spirt of Chelsea could soon be "A Bridge Too Far". 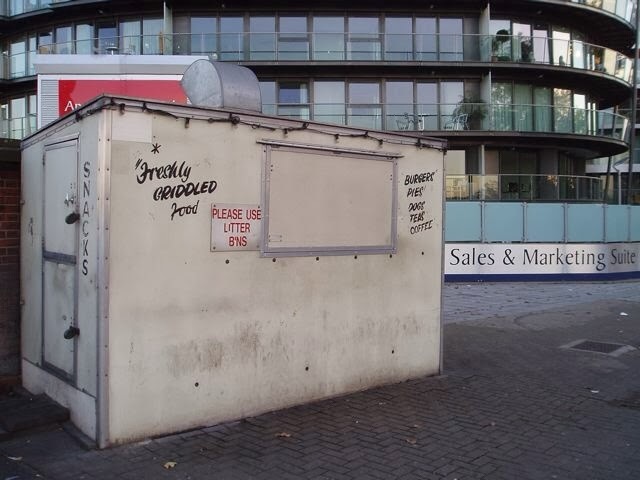 We've been told for years that this day would eventually come and now we've recently heard the council are seriously looking to close down this iconic kiosk. It seams that anything and everything attached to our life style in London, is under threat from people with no interest in tradition or our passed history. It makes you wonder if they would still be looking to close this hut if it was a general meeting place for cyclists? Can't see the greenies standing for that. DONT LET THEM DO THIS. Please sign our petition, it only takes a couple of minutes of your time. SAVE THE CHELSEA TEA HUT. Following a vote by the City’s Court of Common Council last autumn, consultation begins on Tuesday [28 January] on the implementation of the City’s 20mph speed limit. The consultation will last at least three weeks. The change is part of the City’s Road Danger Reduction Plan and it is estimated it will add only minutes to journey times whilst decreasing casualties by more than 30 a year; a 10% reduction. It is supported by the Mayor of London, TfL and the City of London Police and forms a key part of delivering the capital’s wider “Safe Streets for London” road safety plan. The creation of more area-wide 20mph speed limits was a key recommendation of the Mayor’s Roads Task Force, helping improve safety perceptions and encouraging pedestrians and cyclists. The proposed scheme covers almost all of the Square Mile, and fits with many the surrounding boroughs, which have widely adopted 20mph speed limits and zones. • Blackfriars Bridge, New Bridge Street, Farringdon Street (up to Charterhouse Street) – which form part of the Mayor’s proposed North-South cycle route. • London Bridge, King William Street, Gracechurch Street, Bishopsgate, Norton Folgate (up to Worship Street) – which will tie in with a pedestrian improvement scheme currently being delivered outside Liverpool Street station. TfL’s trial will last 18 months, during which time it will gather feedback and monitor the scheme’s merits. Residents and commuters will have the opportunity to comment on both schemes on the TfL and City of London websites. Subject to feedback, the new speed limits would look to be introduced during summer 2014. Leon Daniels, Managing Director of Surface Transport at TfL said: “Through the Roads Task Force, the Mayor has made a major commitment to invest in London’s road network, ensuring the Capital remains a thriving international city that supports economic growth and provides safe and attractive spaces for all. We have long supported 20mph speed limits on borough roads and more than 20 per cent – or more than one km in every five – of all roads in London are now 20mph. Cities are being re-imagined to better tackle the big challenges they face including housing, transport, security and energy. 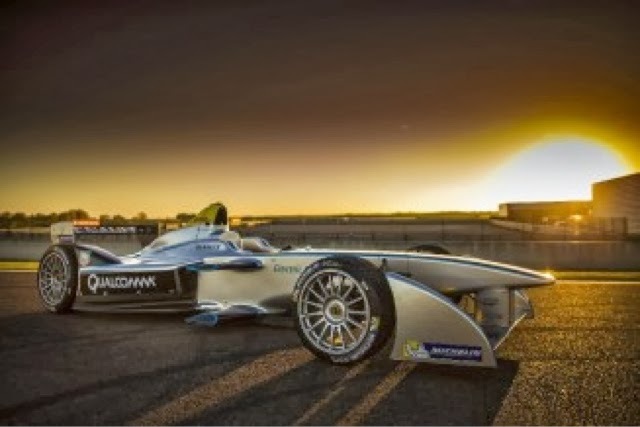 Motor sport’s world governing body the FIA (Formula 1) have spawned a new green-energy racing championship for cities, called Formula E. The new race is coming to London with multi-cultural Wembley specified as an ideal destination to host the UK’s first electric car competition. 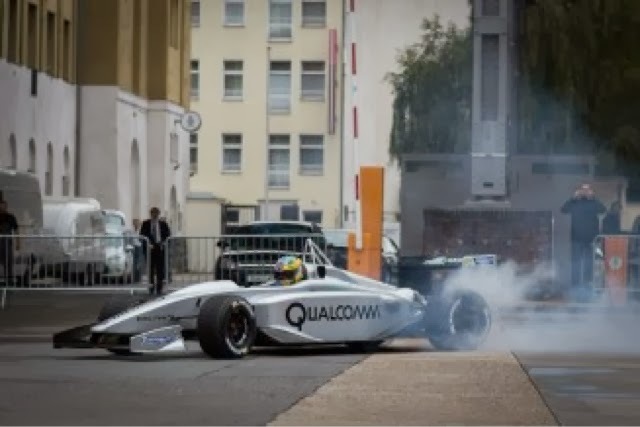 Transforming the area surrounding Wembley Stadium into a circuit for the world-class zero-emission electric cars to race around, it will also be fitting to host Formula E in Wembley because situated there is the UK’s greenest building. There are 10 teams involved including some celebrity power in the form of Monaco’s Venturi Grand Prix, a joint venture with US actor Leonardo DiCaprio. The UK has 2 teams involved including Sir Richard Branson’s Virgin Racing team. Germany’s Audi Sport ABT are another world-class team participating from Europe, Asia has teams from China, Japan and India’s Mahindra Racing team. 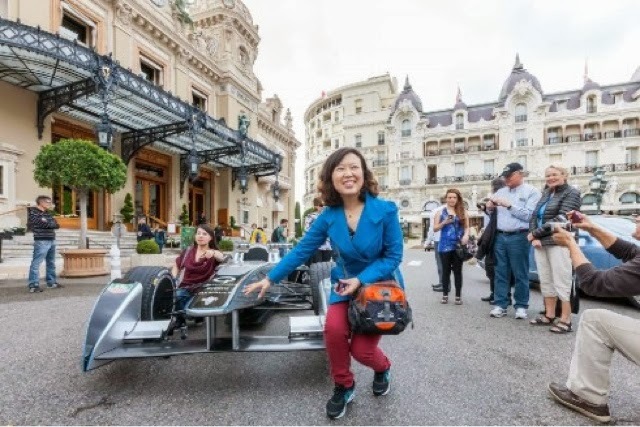 I’m personally excited about the Formula E, it will no doubt attract a new breed of fans who support advancement of environmentally friendly mobility and green-energy. Camden Council's Phil Jones, Sets Out Nightmare Plans For the Future. There is a chance to meet with Phill Jones, Camden's Cabinet Member for Transport, on Feb 19. Imagine what might happen if a few hundred cab drivers turn up at that to discuss Transport & put him on the spot. If he won't talk to the people who represent us, maybe we should pay him a visit? The meeting is to be held at 7pm, on the 19th of Feb, at the Castlehaven Community Association, Community Centre, 21 Castlehaven Road! London NW1 8RU. The flagship cycle route has also seen a reduction in motor traffic speeds. I think it’s been very successful. That’s proved in terms of the volumes of cyclists going through there. I can give you the precise figures, but it’s something around a 40% to 50% uplift on the flow of cyclists using that street – it’s different on different parts of the street. Also, the traffic has slowed down on that street as well, the cars. Now the road is more narrow the traffic is slowing. So on those two key measures it’s gone well. When Islington brought its 20mph limit in, Camden said it was fine to apply it to boundary roads. When Islington brought in [20mph limits], they asked whether we could have the boundary roads between the two boroughs as 20mph, we said yes, and then we brought in our own 20mph borough limit in December. Whereas Westminster have refused to have their borough boundary roads as 20mph. It’s a difference of philosophy. If there are proposals then we’ll definitely look at them, because we know it’s important. So I wouldn’t rule anything out, and I wouldn’t rule anything in. I think Camden would always want to err on the side of cycle safety, but there do have to be deliveries, there does have to be traffic going through central London. It’s not feasible to say that it can’t, and it becomes a practical measure about what you’d do, and we’d have to look at the evidence. The council will also be repairing damage done to them by motorists. Pending a consultation, which will be done by the end of March. There won’t be planters, but there will be two-way cycle tracks. We hope to introduce light segregation on Gower Street in Central London on both sides of the road. There’s not width there for planters but we can fit in two armadillo tracks on each side of that road, that’s a key north-south route, and we’re planning to do that as part of the changes to that area. It would link with Cycle Superhighway 12. We were wondering about segregation in terms of York Way … [you’d have] the north-south superhighway coming up to King’s Cross, and then segregation going up York Way. The council has allocated £300,000 to develop a long-term plan for the road, but no decision has been made. The ideal situation would be to remove the gyratory, improve it for cyclists. Whether you can put segregation down, it would be nice – I don’t know if we can, it’s going to require a great deal of modelling, investigation, and quite a long time. We’ve put aside £300,000 to do work to look into it and so that’s what we’ll be doing over the next year … It’s very much at the stage of considering what is the best thing to do at that street. Jones argues the ban on cyclists using the lane wasn’t “anti-cyclist”. I think sometimes people get the wrong idea about this. The fact that cyclists were banned from there wasn’t an anti-cyclist thing, it was because people, there was concern from bus drivers in particular, that cyclists overtaking them might get hit by oncoming traffic, and these things used to happen to some cyclists. There has been a new safety assessment done by the police, and the council has made a traffic order, which is going to come into force. Jones says there’ll certainly be no increase in parking spaces. Cycling is a priority above on-street parking. The amount of traffic going through Camden in the last ten years has gone down very significantly. … Over time road space has been allocated away from parking to other things. We do get a lot of hostility from residents who do park to removing parking spaces … we certainly wouldn’t be increasing parking spaces. If there was a big scheme that needed some parking to be removed then it certainly wouldn’t be a barrier to doing it but we’d have to look at it in detail given the local circumstances and given the nature of that particular road. The Royal Parks aren’t necessarily so keen. Yes, [removing through traffic from Regent’s Park Outer Circle] is something [we’re in favour of] and I’ve met with the Royal Parks, and it’s the Royal Parks Paving Commission, I believe, that controls that road. We definitely think that there’s a strong case to restrict traffic through there – it could be great. The route is included in the Central London Grid; at that time when I met with them a few months ago, they were willing to consider it and talk about it, but it wasn’t clear that they were going to make any firm moves. But I have seen that it’s one the Central London Grid network, so hopefully that will make some progress. The counter will be similar to the one installed in Hackney’s Goldsmiths Row. I’m actually going to put a cycle counter in there, I think they’ve put on in Hackney already. We’re going to put one of those in in a couple of weeks time. But TfL doesn’t look like it’s going to fund an expansion. The next logical place where [Boris bikes] should go should be Kentish Town, and we’d very much like to see it there. We’ve called for that again and again. They’re not providing any funding for that though, so I don’t think that it’s likely to happen quickly. TfL wants to expand the most popular sites rather than spread the scheme out further. What we are doing is that they want to meet with us quite soon to look at expanding some of the existing cycle hire stations around busy locations, so for example the King’s Cross type area, around the major stations. So the focus at the moment, from TfL’s point of view is expanding the popular ones that exist rather than giving any big new expansions to the north. Licensing Fiasco Part 2: Pursuit of the Innocent, Ignoring the Guilty!! !...by Paul Bond. Last week a response was received from Leon Daniels on behalf of Peter Hendy further to the issue (or non issue) of temporary licences whilst drivers await DBS clearance or in many cases the arrival of the licence weeks after the DBS (CRB) 'clearance' is received. As you can see TfL are having none of it with little justification despite the temporary licence solution working very well in many towns and cities elsewhere. 1. Is it innocent drivers fault the police have failed to notify TfL of offences that have ALREADY been committed by a very small number of drivers? 2. The offenders were already licenced when the offences were committed so where is the public protection element of denying everyone else a licence? Surely anyone can reason that these very few individuals would hardly care about driving a cab whether licenced or not knowing their misdemeanours were coming to light anyhow? Again only the innocent are suffering. 3.Many TfL staff require DBS (CRB) clearance, are they sent home (on full pay?) pending arrival of the 'clearance'? 4. There are delays in DBS (CRB), TfL has sub contracted this process out, many other sub contractors are promising and delivering far faster results. Have TfL gone for the cheapest quote and is it another Cable Car or signalling contract cost fiasco? 5. Even when the DBS arrives, there are still delays in the licence coming out (another sub contractor? ), TfL CANNOT BLAME ANYONE ELSE and has again cost cutting led to this? 6. Many innocent, long serving Taxi drivers are officially out of work yet nightly touts and PH vehicle openly flout the law often with the bogus alibi of the Satellite Office with little in the way of enforcement. 7. Birmingham hammer these criminals, impound cars and nick them for no insurance but TfL seem powerless, anyone would think TfL don't want to address the issue in any proper fashion? The LTDA ad van pursued the Home Secretary on this but seems unwilling to mount a similar campaign over TfL's failings, Why? Taxileaks can only advise drivers to apply for renewal on receipt of the paperwork, badger their GLA member and MP on this matter and join us for the call for an enquiry by the Transport Committee at Westminster into this and many other issues. 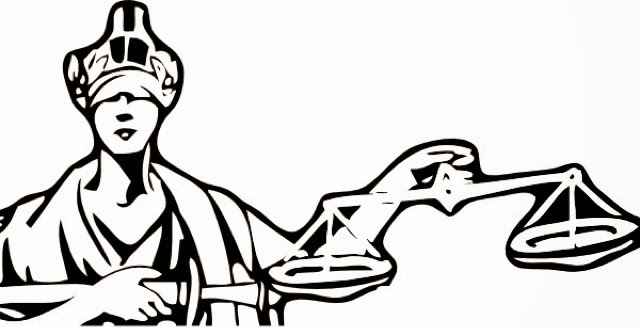 Natural Justice, Innocent until proven Guilty,Human Rights, Respect, Dignity. All the absolute right of every British citizen. EXCEPT US, THE GOOD OLD LONDON TAXI DRIVER! The licence renewal debacle is still ongoing and unresolved. Telephone calls are not getting through, emails are not be answered and drivers are being denied the right to work. At present, it is almost impossible to contact TfL for licensing queries. TfL commissioner Peter Hendy, is still refusing to issue affected drivers, some of whom have been off work for many weeks, with temporary licenses as is the practise throughout the rest of the UK. "If any of our members (who were members when the initial paperwork was submitted) and who have lost earnings due to this mess would email membership@ucglondon.org.uk with the details I will compile a list and submit it to our barrister." It appeares the UCG are looking to take out a class action against TfL. "If any other trade org has members affected and wish to pick up part of the legal costs contact me please and we'll share the cost to go for them. This isn't about points scoring, this is about Taxi Drivers Not Being Able To Work Through No Fault Of Their Own." I have just left a message on Helen Chapman's mobile and she has offered to assist in my particular drivers case. The issue is suspected to be motivational where the people on behalf of TPH, processing this paperwork are disillusioned and demotivated to get the new process right. This is not our problem, we never asked for this, we never caused this, we were never consulted. This lays fair and square with TfL/TPH to resource this properly. If it's a motivational thing, thats for TPH management to deal with. If it's resources, then the threat (and indeed implementation of) a class action should focus their attention. They simply must ensure they have enough bums on seats to deal with the systems and processes they implement. If not.... DON'T change it. Taking legal action will help both us and TPH as Mr Daniels will have to find Helen the resources to deal with this. The buck stops with Mr Hendy. Boris Johnson is just a politician, who will soon be gone, but Hendy/Daniels will not. We don't want all the grief of having to do this and I'm sure TfL don't want all the grief of whats about to unfold. Lets hope common sense prevails and they draft in some people from other areas of TPHTfL who are capable of processing these documents. TPH is the hold up, not the D&BS (Disclosure and Barring service). The UCG member informs me all documentation was confirmed correct on 5th Dec 2013 by telephone with TPH. Below is the reply to the email published on Taxi leaks 2nd Jan 2014. Thank you for your email to Sir Peter Hendy CBE. I am responding directly to the further issues you have raised. We fully appreciate the difficult personal circumstances a number of drivers are faced with because of the changes in the DBS Disclosure process and associated delays, and are aware that some licensing authorities in other parts of the country have chosen to issue temporary licences. However, TfL's first and foremost concern has to be the safety of the travelling public and the continued good reputation of the taxi and private hire trades in London and we will maintain our position of not issuing temporary licences. During the lifetime of a licence, drivers are obliged to inform us of any charges, cautions or convictions. Furthermore, through the Notifiable Occupations Scheme, the police also provide us with relevant information. This provides the safeguard that, in the majority of cases, we can address these matters as we become aware of them and suspend or revoke licences as appropriate. However, there are occasions when we do not receive this information and which justify our decision not to issue temporary licences in London. Since April 2013, we have identified three taxi drivers who have been refused licences (when renewing) for criminal history issues: two for violence and one because of benefit fraud. All three went to a personal hearing and the decision to refuse was maintained. A further six PHV drivers have been refused licenses: two for taxi touting, one for battery, one for being involved in producing a class B drug and one for driving while disqualified. Whilst the majority of taxi and PHV drivers that apply for a licence are honest and present no risk to the public, a small number may at any time through the duration of their licence commit offences and fail to inform us. I hope you will understand from the cases outlined above why we are not prepared to take the risk of issuing new licences to drivers, even for a short period, until we are fully aware of their criminal history. 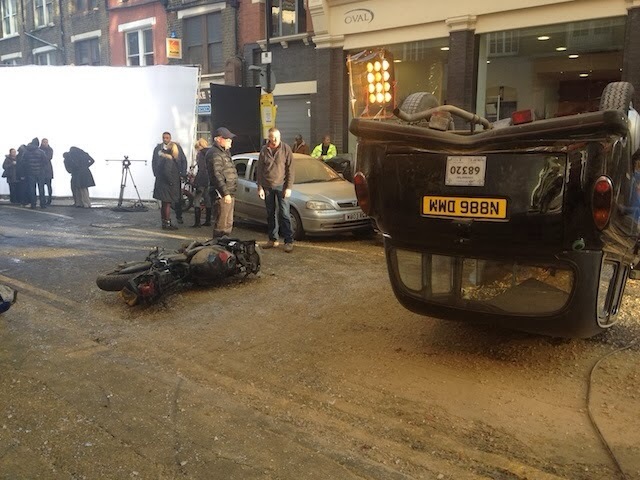 A London Taxi was blown up today on the junction of Cobb Street and MIddlesex Street in the east end as part of filming for the new series of 24. 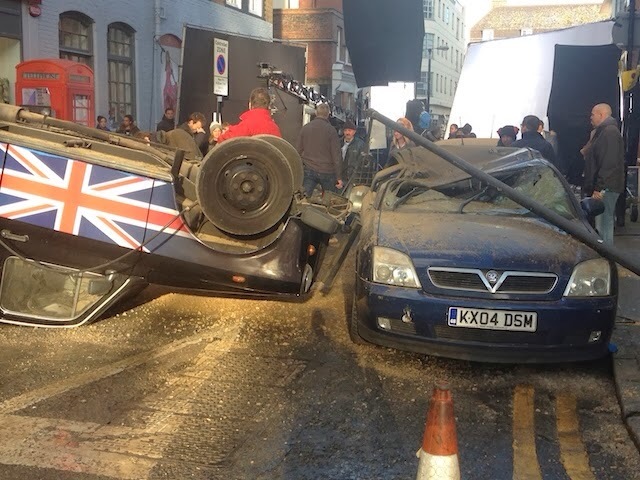 Naturally, a red telephone box and pillar box are in shot alongside the Union Jack bedecked taxi. Died On a The Streets OfLondon 22/01/2014. TfL threatened to block critical new book that alleges, Green New Buses for London "falling short in their fuel consumption and emission figures, in some cases worryingly"
The manufacturers of Boris Johnson's multimillion pound new London bus threatened to prevent publication of a book criticising the design and construction of the vehicles. Wrightbus complained that photos in the book of loose ceiling panels and broken light fittings, as well as criticisms of the bus's green credentials were "defamatory" and risked "serious reputational damage" to the company. They ordered publishers Capital Transport Publishing to remove the excerpts from their book Boris's Bus or face "injunctive proceedings to prevent publication of the book." Solicitors acting on behalf of Wright Bus complained that the book "suggests that there are problems with the design and manufacture of the vehicles." They took particular issue with one excerpt in the book claiming the buses were "reported to be falling short in their fuel consumption and emission figures, in some cases worryingly." The excerpts are believed to have been kept in the book, which was written by a number of authors including transport commentator and mayoral hopeful Christian Wolmar. Transport for London have denied any involvement in trying to prevent the publication of the book. "At no point has TfL sought to stop the publication of Capital Transport’s book," a spokesperson said. "Some time ago we were approached by an author, who was keen to write a book on the New Bus for London project, whom we introduced to specialist publisher, Capital Transport. We also gave the author access to official documents, photographs and designs as well as interviews with officials and other parties involved in the project. "Unfortunately there were disagreements between the author and publisher and their partnership was terminated. The dissolution of the agreement involved correspondence between solicitors." Boris Johnson first promised to introduce a new Routemaster-style bus in his first Mayoral election campaign in 2008. However, the buses have been beset with problems, including breakdowns and oppressively hot conditions. Earlier this month Johnson joked to journalists that conditions on the buses were akin to a "bikram yoga style sauna". At least four people have so far also been taken to hospital after falling from the open rear platforms of the bus, according to TfL figures. 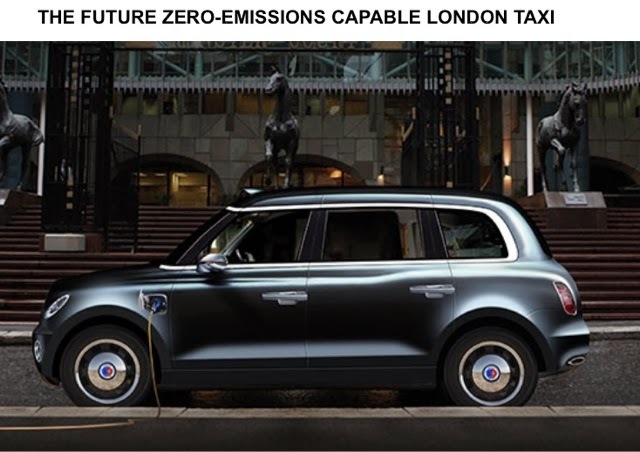 The London Taxi Company finally reveals its vision of the future London Taxi; a plug-in range extended electric Black Cab, destined to hits the streets of London in 2018. 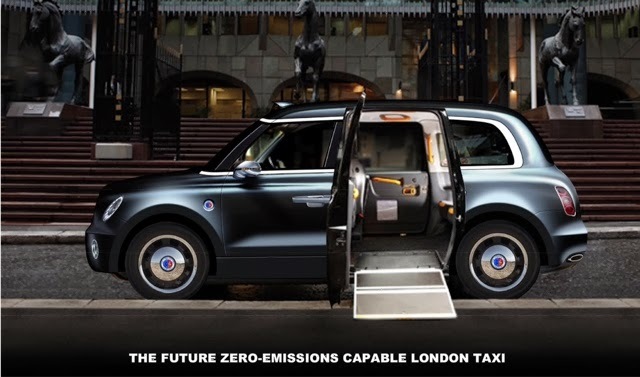 The company, part of global automotive group Geely Automobile Holdings, is confident that it has the technology, experience and investment to manufacture and retail a globally-dominant and iconic Black Cab, which meets Mayor Boris Johnson’s air quality ambitions for London. Vice-President of UK Operations, Peter Johansen said: “Given Geely’s green credentials and their commitment to invest £200m in green taxi technology over the next 5 years, coupled with our own extensive experience and enviable heritage, we feel comfortable that we will provide London with an environmentally-sound Black Cab, which can meet the future air quality demands of our capital city, whilst also delivering a vehicle which is recognised by the general public as a taxi. “Geely’s investment has allowed us to do what we do best; create purpose-built vehicles. It’s not a van conversion; it’s designed from the ground up to be a London Taxi and will be robust and durable in order to survive the demanding taxi duty cycle. “It responds to Mayor Boris Johnson's vision for improving London's air quality and the future global environmental challenges. 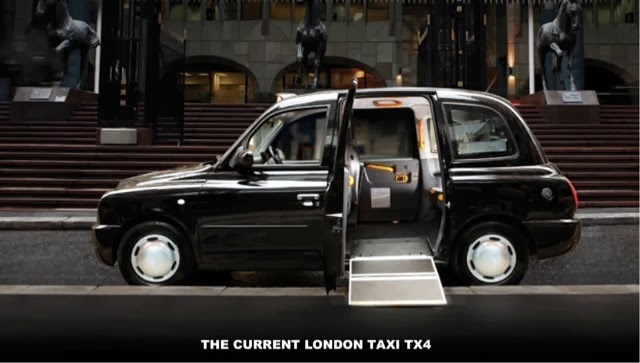 It also delivers against the needs and expectation of the taxi trade and is an evolution of the iconic, instantly recognisable London Taxi that is loved, admired and respected the world over. The London Taxi manufacturer, based in Coventry, already retails its Euro 5-compliant TX4 across the UK. This vehicle represented a major milestone for the UK firm, as engineers have reduced harmful Diesel Particulates emitted from the TX4 tailpipe to a negligible 0.0005g/km and NOx to just 0.28g/km; representing a reduction of 99% and 80% respectively versus the iconic Fairway London Taxi. The next version of the TX4 is being developed in tandem with the company’s engine supplier VM Motori. It will be Euro 6-compliant, deliver further emissions reductions and will be available from 2015.